white spore sprint? or green? did not get print to this one. why? I cant recall. it had a reddish stain almost immediately after it was cut. Macrolepiota clelandii has white spores & some people eat them, but be warned some people have terrible reactions to them, they have to be cooked well. Chlorophyllum molybdites has green spores & will make you very sick. Stipe looks too thick to be Macrolepiota, that looks similar to the False Death Cap, badass, dont eat. 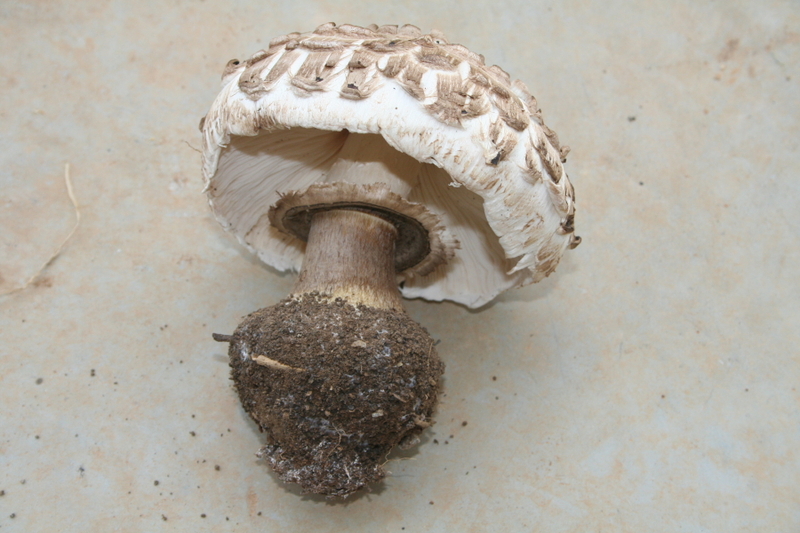 Is there a volva at the base, sort of looks like there is but its covered in dirt, but the thing is a false deathcap dont stain & the Macrolepiota stains faint red/maroon. the smell would, put me way off.